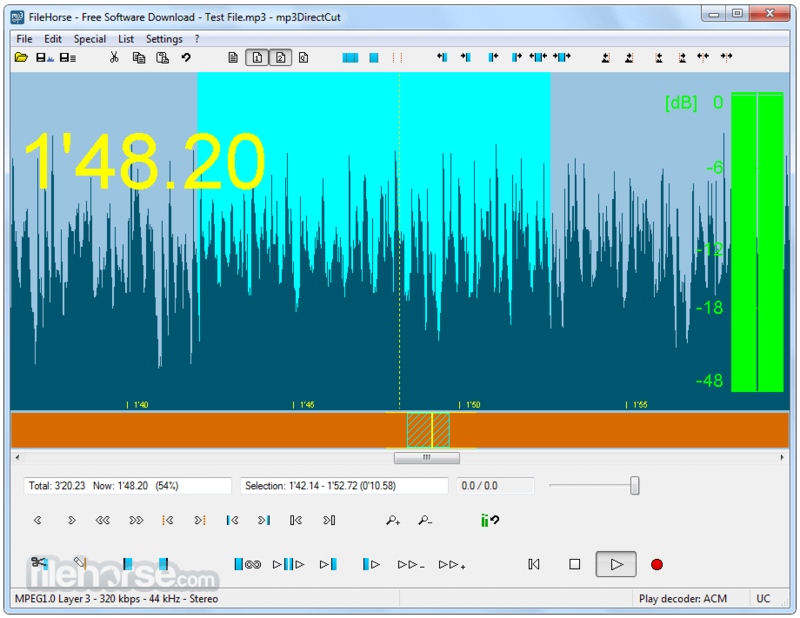 mp3DirectCut is a fast and extensive audio editor and recorder for compressed mp3. You can directly cut, copy, paste or change the volume with no need to decompress your files for audio editing. This saves encoding time and preserves the original quality, because nothing will be re-encoded. The built in recorder creates mp3 on the fly from your audio input. Using Cue sheets, pause detection or Auto cue you can easily divide long files. Small and fast directory player using Winamp input plugins with cue sheet and playlist support, from the same author as the editor mp3DirectCut. 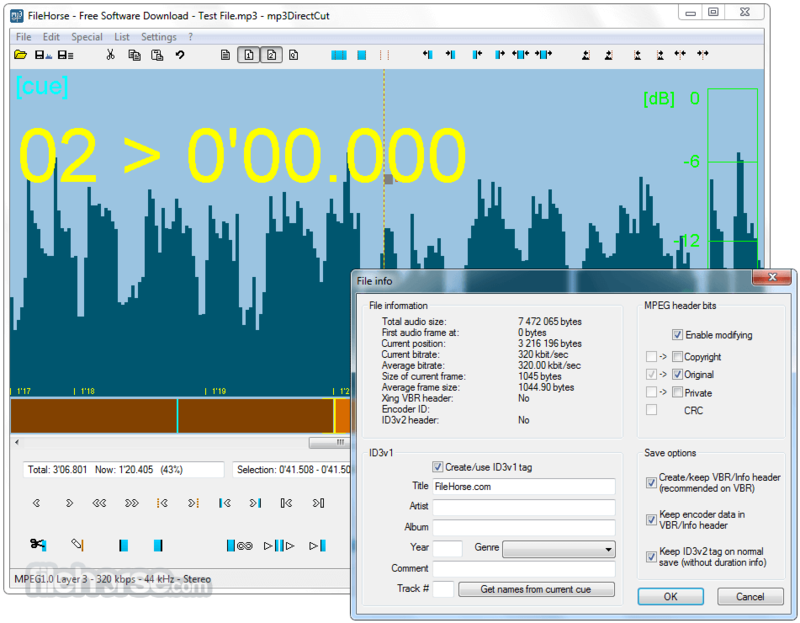 Download mp3DirectCut Offline Installer Setup for Windows.